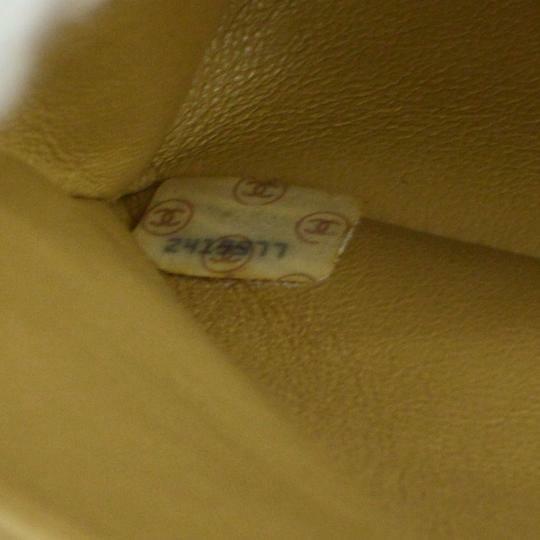 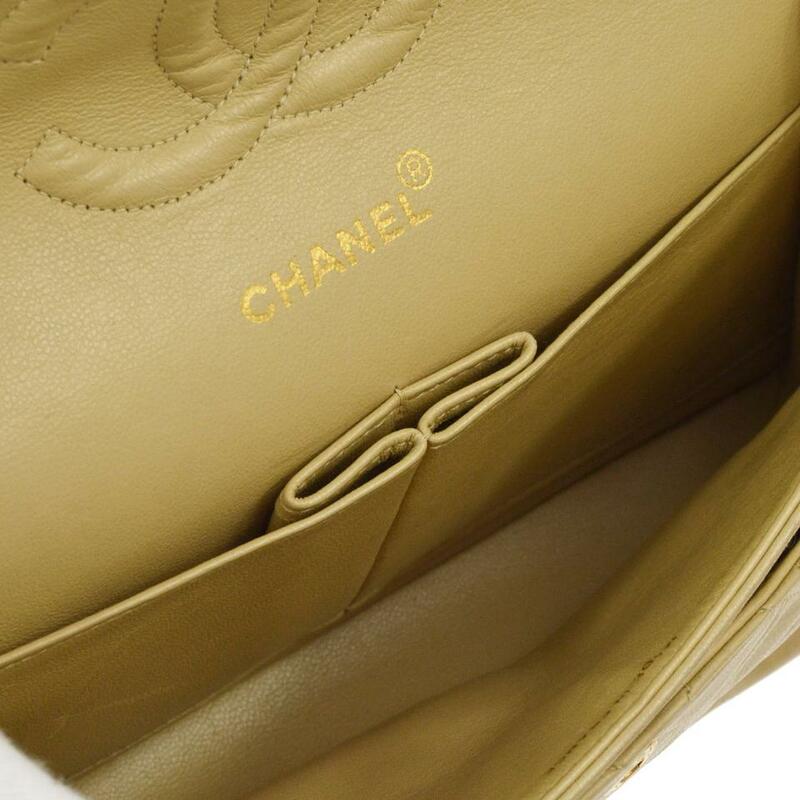 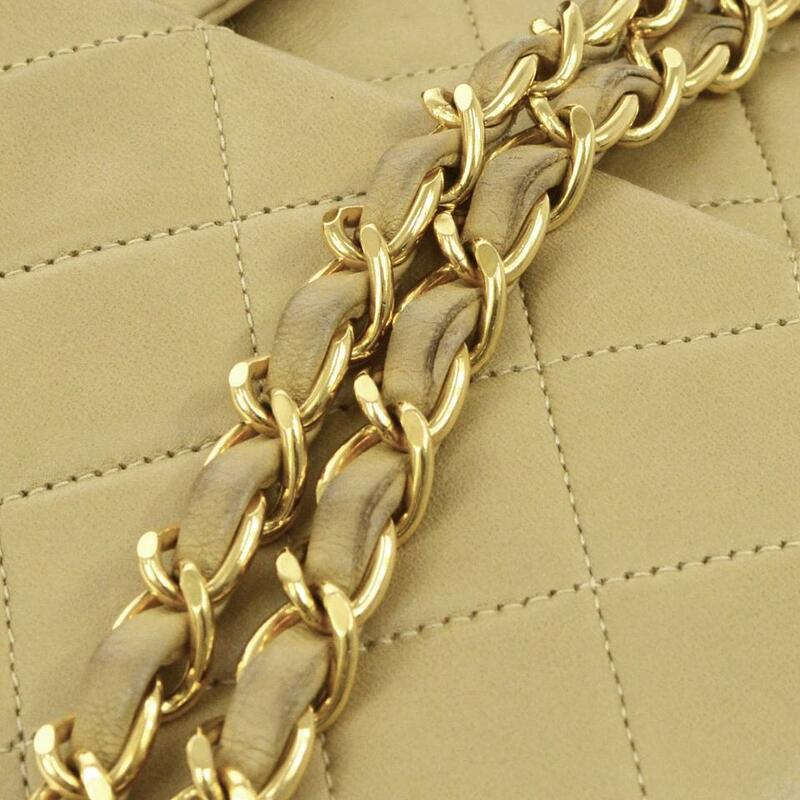 We guarantee this is an authentic CHANEL classic Lambskin Quilted Medium Double Flap Beige or 100% of your money back. 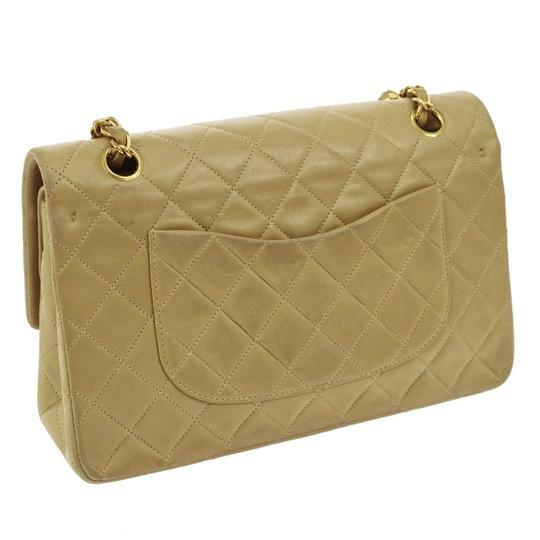 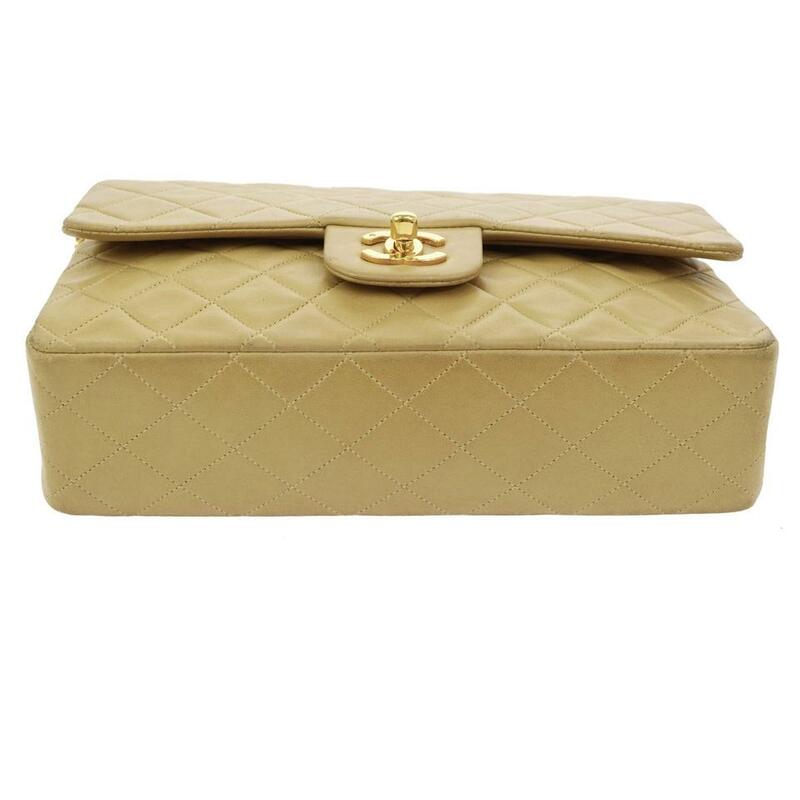 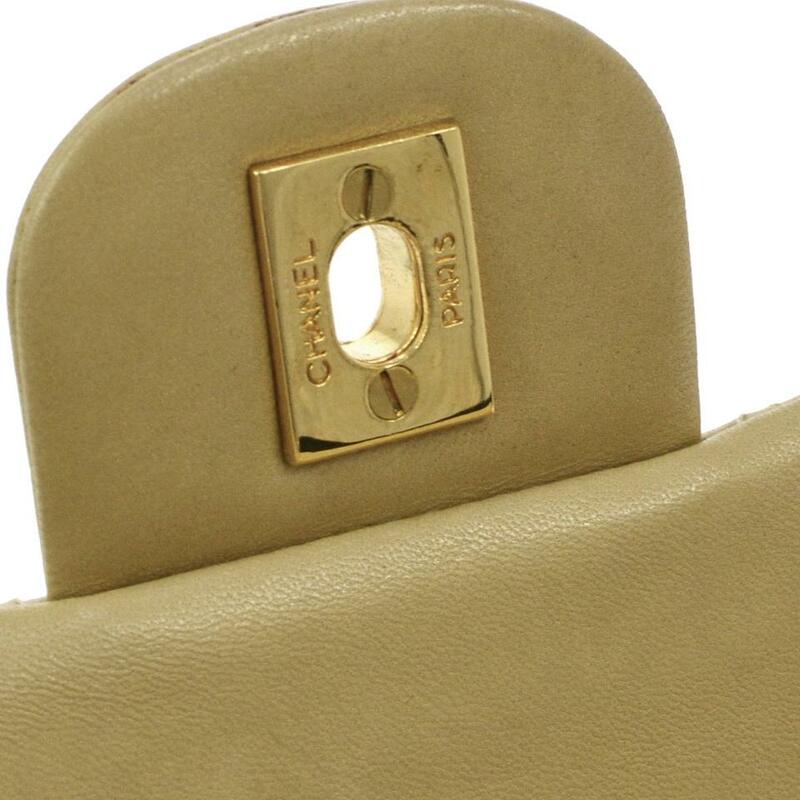 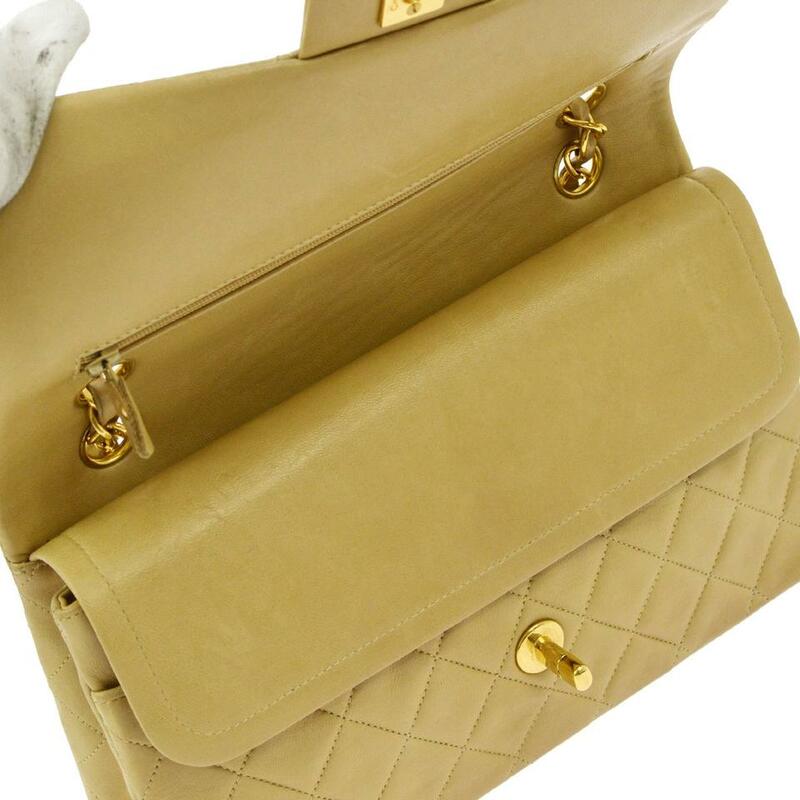 This chic vintage bag is crafted of lambskin leather in beige. 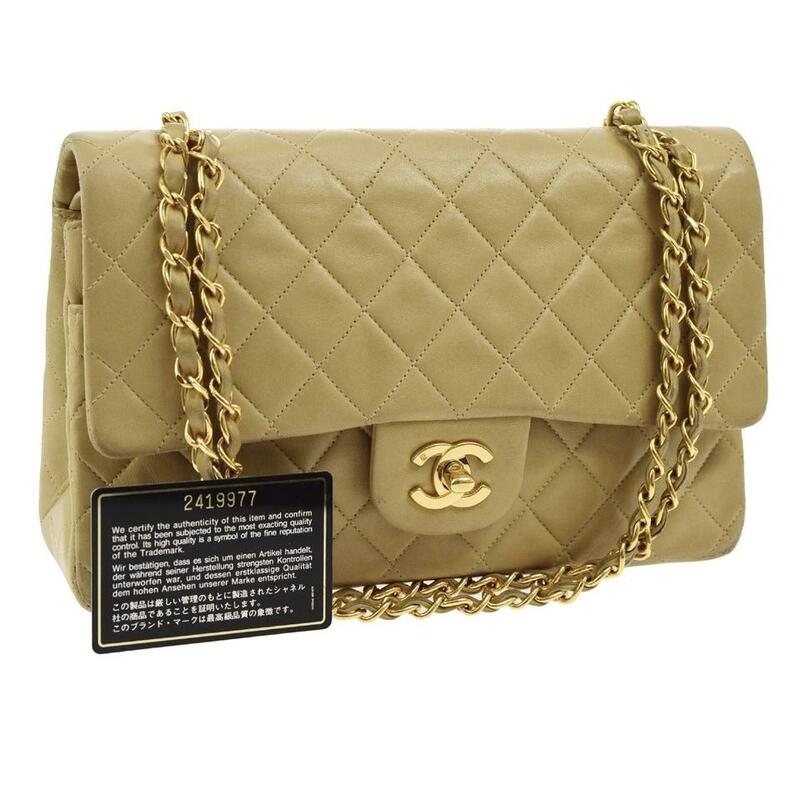 The bag features leather-threaded polished gold chain shoulder straps and a gold CC turn lock. The front flap opens to a matching leather interior with patch pockets. 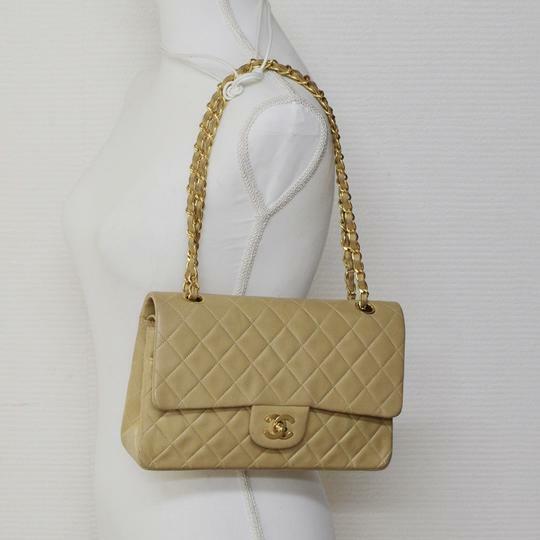 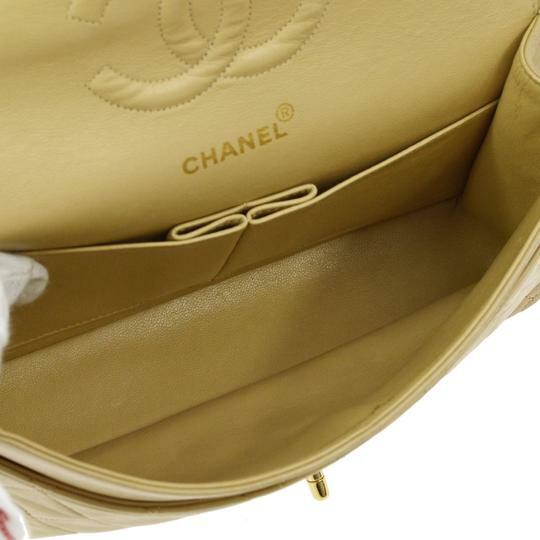 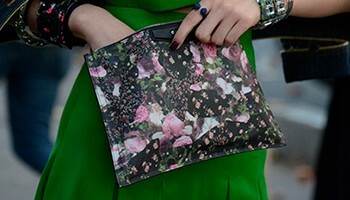 This is a wonderful shoulder bag, for day or evening, with the timeless style of Chanel! 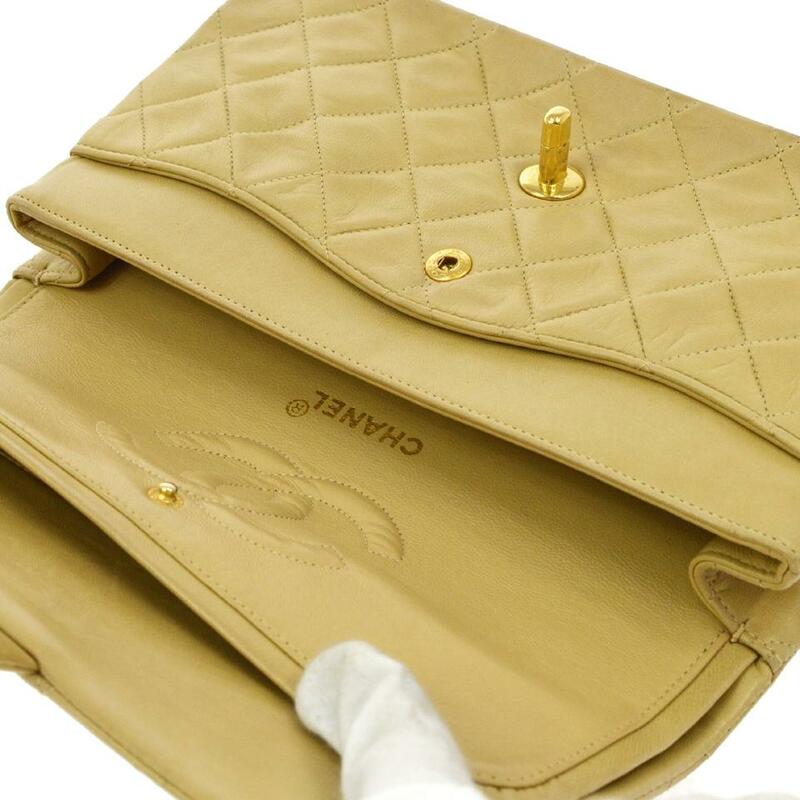 Comes with authenticity seal and card.